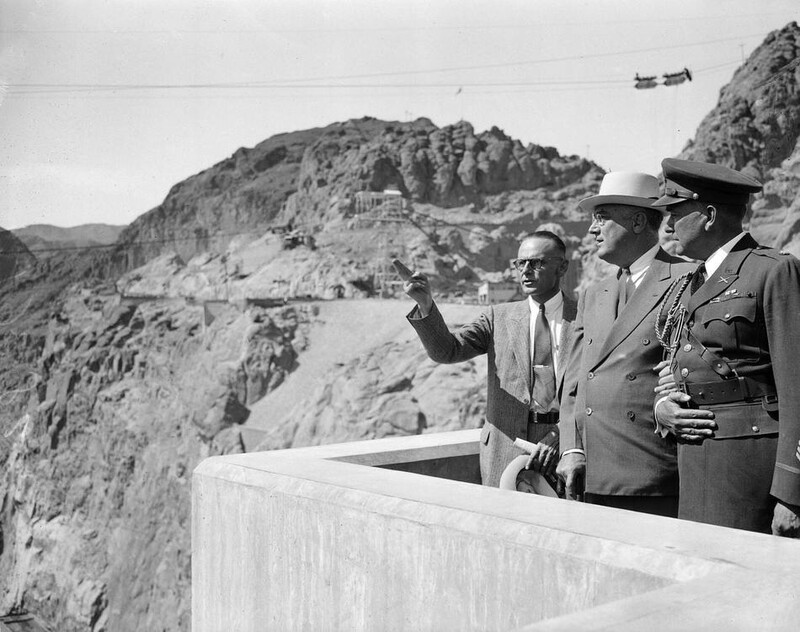 President Franklin D. Roosevelt visiting the dam on September 30, 1935, when he presided over its official dedication. On the far left is Walker "Brig" Young, Chief Engineer for the project. On the right is Roosevelt's military attache.